A former executive in the entertainment industry who is now a powerful advocate for people with Alzheimer’s disease. 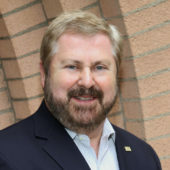 President and Chief Executive, Senior Services, Inc.
Lee Covington, President and Chief Executive, Senior Services, Inc. Covington joined Senior Services in August 2015 as its chief operating officer, bringing with him more than 25 years’ experience in nonprofit management and leadership. Prior to joining Senior Services, Covington worked as the executive director of Rockingham County’s Aging, Disability and Transit Services, and filled several leadership roles at the Arc of the Piedmont, a nonprofit organization that helps people with intellectual and development disabilities in Charlottesville, Va. He has a master’s degree in public administration from UNC-Greensboro. Nir Barziali, MD, Director of the Institute for Aging Research at the Albert Einstein College of Medicine and the Director of the Paul F. Glenn Center for the Biology of Human Aging Research and of the National Institutes of Health’s (NIH) Nathan Shock Centers of Excellence in the Basic Biology of Aging. He is the Ingeborg and Ira Leon Rennert Chair of Aging Research, professor in the Departments of Medicine and Genetics, and member of the Diabetes Research Center and of the Divisions of Endocrinology & Diabetes and Geriatrics. 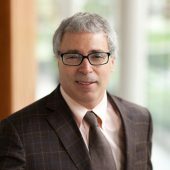 Dr. Barzilai’s research interests are in the biology and genetics of aging. One focus is the genetics of exceptional longevity, where we demonstrated that centenarians have protective genes that allow delayed aging or protection against age-related diseases. The second focus is on the metabolic decline of aging, and we hypothesize that the brain leads this decline. Technology in Haifa and completed his residency in internal medicine at Hadassah Medical Center in Jerusalem. He served in a refugee camp during the war in Cambodia (1979-1980) and built a nutritional village in the homeland of the Zulu (1983 – Kwazulu). He was an invited speaker at the Fourth Israeli Presidential Conference on the Future in 2012. Jennie Smith-Peers, Executive Director of National Center for Creative Aging, leading the nation in supporting capacity building, cutting-edge research, and public policies for older adults in the arts. 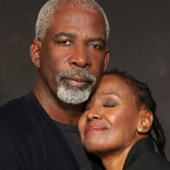 Prior to her tenure at NCCA, Jennie served as Executive Director of Elders Share the Arts, a pioneering arts and aging organization headquartered in Brooklyn, NY. Under her leadership, ESTA became an active advocate for older adults within the New York City cultural field and developed an innovative cross-sector training program with the State Office on Aging and the Arts of Pennsylvania, now one of ESTA’s signature pieces of training. Her love of working with older adults began during her time as an AmeriCorps member which focused on supporting the health and well-being older adults throughout the Middle Tennessee area. Subsequently, Jennie led parallel careers as a professional actress and administer in aging, She is invited to speak locally and nationally on the importance of creativity in later life, intergenerational arts education, and strategies on how to use reminiscence and life review. 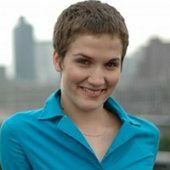 Jennie holds a BFA from Emerson College; is a graduate of Antonio Fava’s Stage Internazionale di Commedia dell’Arte in Reggio-Emilia, Italy; and is currently finishing her graduate degree in Drama Therapy from NYU, focusing on ways reminiscence can support the long-term remission of late-life depression. 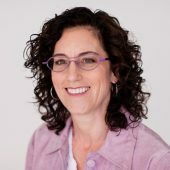 Dr. Aronson is Professor of Geriatrics at University of California-San Francisco where she is Chief of Geriatrics Education and directs the Optimizing Aging Program, and cares for patients through the Care at Home Program. She also holds an MFA in writing, and directs the UCSF Medical Humanities Program. She is the author of the celebrated “A History of the Present Illness,” and publishes regularly in newspapers, medical and literary journals. Her scholarly work focuses on geriatrics and aging, reflective learning, and public medical writing. She has developed innovative programs for geriatrics training for non-geriatricians, interprofessional education, reflection in medical education, and use of writing to harness the expertise and unique experiences of clinicians and medical scientists in service of health and health care. 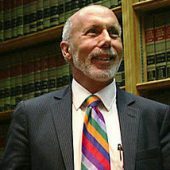 A. Frank Johns is a former president of the National Academy of Elder Law Attorneys (NAELA). He is a fellow in both NAELA and the American College of Trust and Estate Counsel (ACTEC). Johns, who practices in Greensboro, holds an LLM, Masters in Law in Elder Law, from Stetson University College of Law and serves on its faculty as an adjunct professor of law. 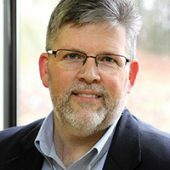 Johns is also a past chair of NAELA’s Council of Advanced Practitioners and is Board Certified in Elder Law by both the National Elder Law Foundation and the North Carolina State Bar’s Board of Legal Specialization. He was a charter Board member of the National Guardianship Association and founder of the North Carolina non-profit Corporation of Guardianship serving vulnerable elderly and people with disabilities. He litigates issues in elder law focused on fiduciary wrongdoing, elder abuse and injury. 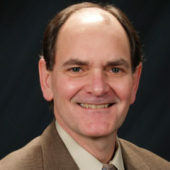 Johns currently serves as president of Senior Resources of Guilford and as chair of the National Guardianship Network. As a young artist based in Washington, DC, Liz Lerman founded the Dance Exchange in 1976. She cultivated its unique multi-generational ensemble into a leading influence in contemporary dance until 2011, when she began an independent phase of her career. 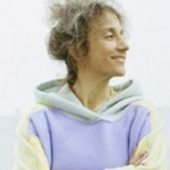 Aspects of her work that have won critical and scholarly attention include: early dance-based work in senior adult settings that evolved into innovative forms of inclusionary casting; new approaches in the use of spoken word and site-specific strategy in the context of concert dance; diverse artistic enterprises like the Shipyard Project (1994-96) which engaged hundreds of local citizens to reflect on the historic and controversial shipyard in Portsmouth, NH, demonstrating the role of art in fostering civic dialogue and social capital. 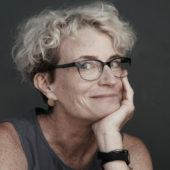 Liz has been the recipient of numerous honors, including a MacArthur “Genius Grant” Fellowship, a United States Artists Ford Fellowship in Dance, and the Dance/USA Honor Award. Her work has been commissioned by Lincoln Center, American Dance Festival, Harvard Law School, and the Kennedy Center among many others. Liz began working with older people in 1975 and her first book, Teaching Dance to Senior Adults details her experience working at the Roosevelt Hotel. She has worked intergenerationally ever since. 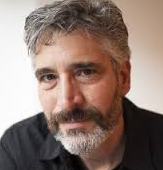 Dr. Olshansky is a professor in the School of Public Health at the University of Illinois at Chicago concentrating on biodemography and gerontology. He is also a research associate at the Center on Aging (University of Chicago) and at the London School of Hygiene and Tropical Medicine. 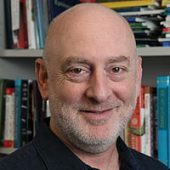 Olshansky is an associate editor of the Journal of Gerontology: Biological Sciences and Biogerontology and is a member of the editorial boards of several other scientific journals. Olshansky has been working with colleagues in the biological sciences to develop the modern “biodemographic paradigm” of mortality – an effort to understand the biological nature of the survival and dying out processes of living organisms. The focus of his research has been on estimates of the upper limits to human longevity, exploring the health and public policy implications associated with individual and population aging, forecasts of the size, survival, and age structure of the population, pursuit of the scientific means to slow aging in people (The Longevity Dividend), and global implications of the re-emergence of infectious and parasitic diseases, and insurance linked securities. Dr. Olshansky’s Voices of Our Time segment can be found HERE. Rossato-Bennett studied film at Temple University and studied lighting with family friend Vilmos Zigmond. In 1982 he shot Street Dance a one-hour documentary on the emerging Break-Dance and Tick-tism scene in Cincinnati, Ohio funded by the Ohio Arts Council. In 1984 he co-wrote and directed Victory House, a low-budget award-winning feature that follows the fates of three young men returning to small-town Ohio after WWll. In 1989, due to personal reasons, he gave up working in film and founded a photo studio in Cincinnati. He specialized in travel photography and shot for National Geographic, Smithsonian, Islands Magazine, Travel and Leisure, British Heritage among others and published two books and began producing films for non-profits and good causes. In 2014 his feature documentary ‘Alive Inside’ premiered at Sundance where it won the coveted Audience Award for Documentary. The film won Milan, Provincetown, Berkshie, Sonoma and awards at SIFF, Boulder and others. The film is changing the way we care for elders world wide. At present, he is in production on four documentaries. 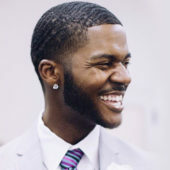 In 2015 he founded The Alive Inside Foundation dedicated to creating connections through music between the generations. For any questions or concerns please email Stephanie Reitz, reitzsct@nullwfu.edu, or call 336-758-4256.